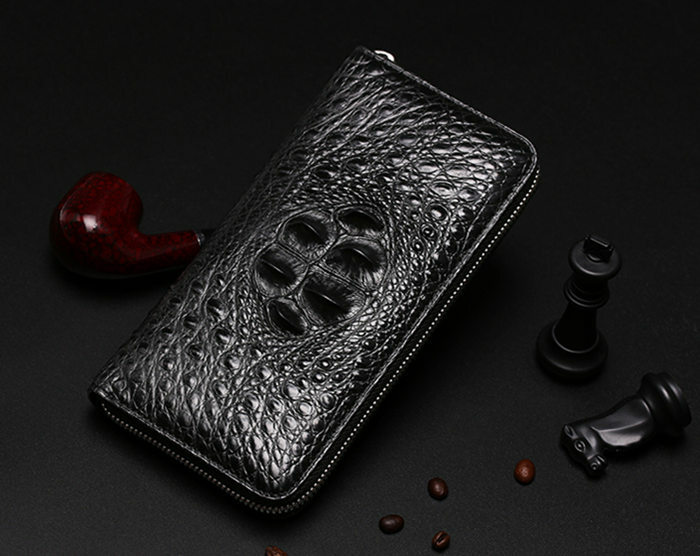 Crocodile leather as a rare leather, with the air of prince, is beautiful, dignified, and relatively expensive, so in the market, the cowhide leather wallet is often posed as crocodile leather wallet. 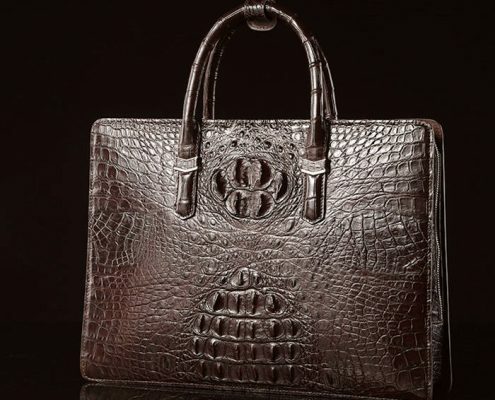 Due to the superb technical of embossing process, the fake crocodile leather looks the same as the genuine one which makes it difficult to be distinguished, but the careful observation can tell the difference between the two kinds of leathers. 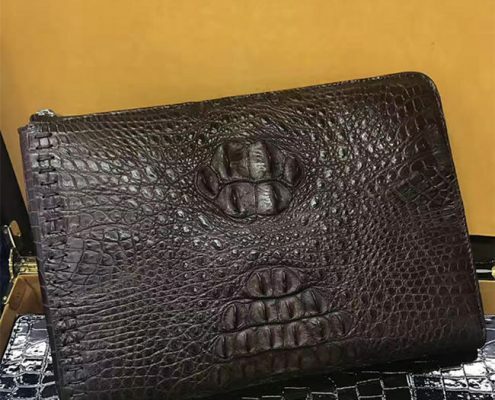 How to distinguish between genuine and false crocodile leather wallet? 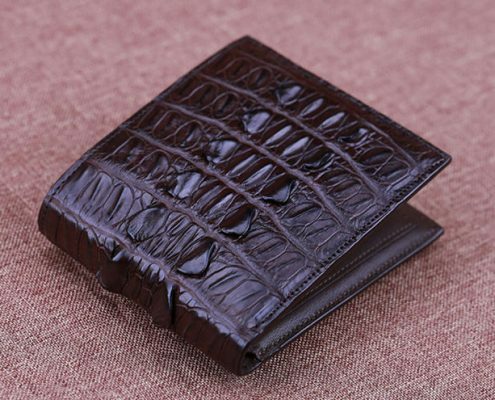 Firstly, observe the texture of genuine crocodile wallet. The crocodile skin is irregular, each crocodile leather is unique. 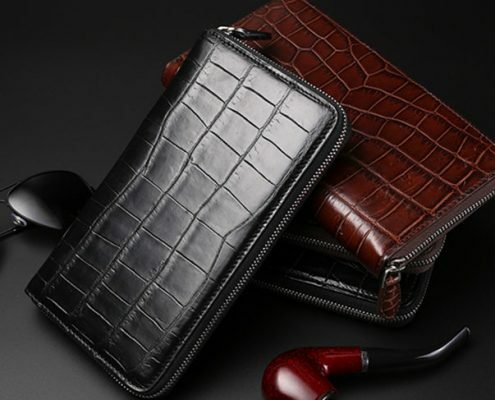 And the fake crocodile leather texture are regular and the patterns are not as vivid as the pattern of animal leather. 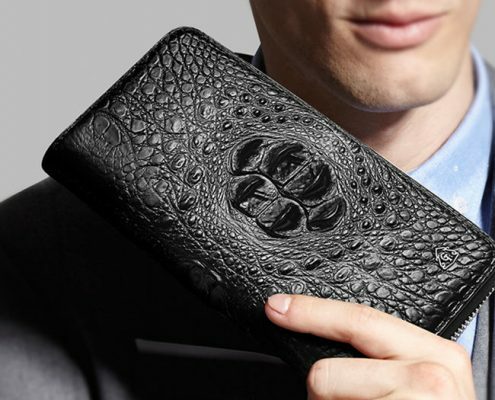 Secondly, touch the texture of crocodile leather wallet. Crocodile skin really feels very natural. Generally speaking, the head is relatively hard but belly is soft and has a comfortable feel. Fake crocodile leather is made from embossed leather, feels of no significant concavo and convex and it is hard. 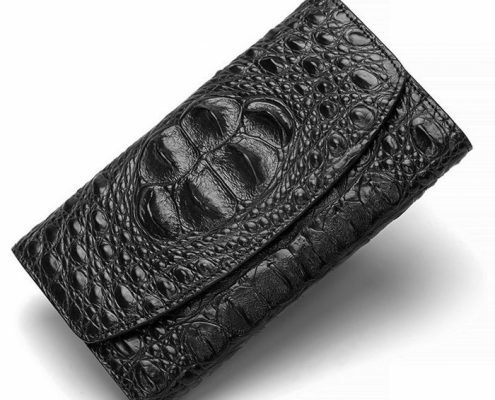 Thirdly, test crocodile wallets with water. 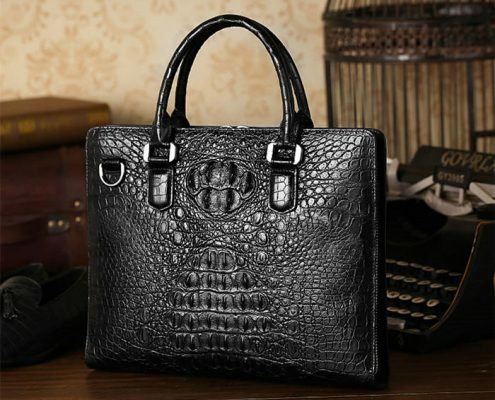 Because the crocodile leather is a kind of animal skin, so it has small pores. The color becomes dark when it encounters water and will dry without leaving any traces. The color of the fake one will not change or the color will not be restored once it changes. 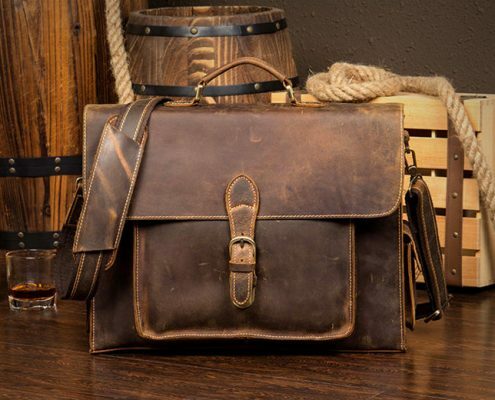 The reason of the popularity of the crocodile leather is sustainability and it has the spirit of animals. It will not lose the luster of an animal’s skin with time going by. The fake crocodile leather is not durable and will be worn-out. Fifthly, measured by the price. The rarity of crocodile skin and breeding cost is very high, which led directly to the high prices. In addition, pure handcraft needs a lot of time, so its price is not low. Those cheap one must be false. 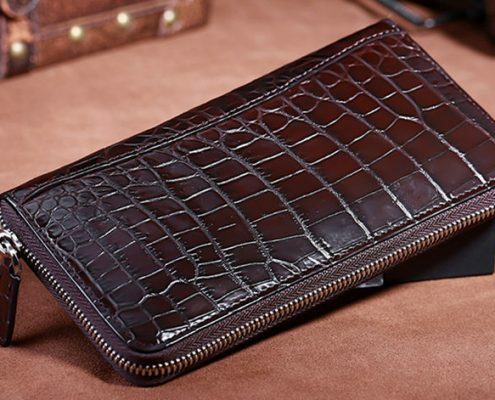 The above methods is to identify the genuine crocodile leather wallet. 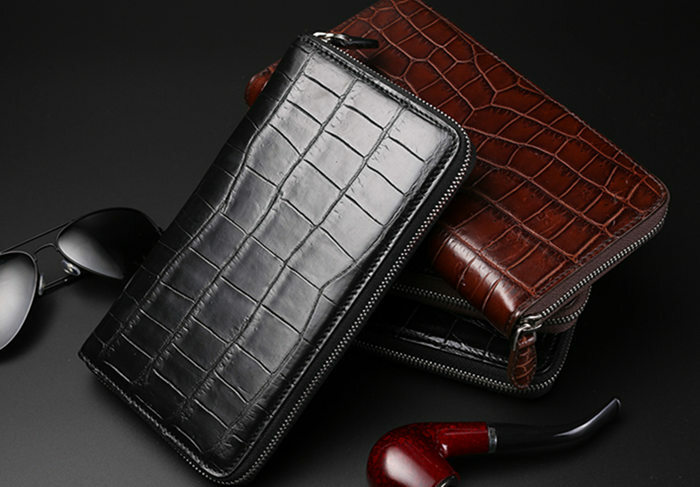 When you buy a crocodile leather wallet, you can choose some well-known brands, such as VANGOSEDUN, of which the service is also very good, so that you can avoid much trouble after buying it.